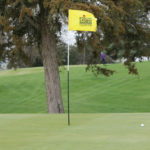 After a rough front nine Sunday, the Gustavus men’s golf team got back on track on the back nine to card a first round total of 304 at the Saint John’s Spring Invitational. The Gusties are seven strokes off the lead, which is held by host Saint John’s at 297. The Gustavus men's golf team took a fourth place finish out of 17 teams at the Take Back the Night Challenge, hosted by Millikin University, firing a round two score of 294 to finish at 600 (+28). After day one at the Take Back the Night Challenge, hosted by Millikin University, the Gustavus men’s golf team is tied for sixth place out of 17 teams. 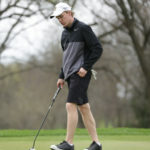 The Gusties carded a first round total of 306, which is 22 strokes behind the leader Illinois Wesleyan. Due to forecasted inclement weather and unplayable course conditions, the Gustavus men’s golf team has cancelled the Bobby Krig Invitational, which was scheduled for Sunday at Ridges at Sand Creek in Jordan, Minn. and Monday at the Le Sueur Country Club in Le Sueur, Minn. The event may be rescheduled for a later date. 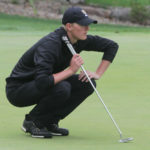 The Gustavus men’s golf team kicked off its spring season Saturday with a round at the Illinois Wesleyan Invitational and took third of 15 teams with a score of 300. Host Illinois Wesleyan won the event with a score of 289 and UW-Eau Claire took second at 297. 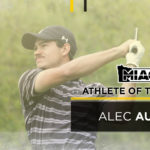 The Minnesota Intercollegiate Athletic Conference announced its men’s golf Athlete of the Week award this afternoon, with Gustavus senior Alec Aunan (Sr., Rock Island, Ill.) receiving the honor after earning co-medalist honors at the 2017 MIAC Men's Golf Championships over the weekend. 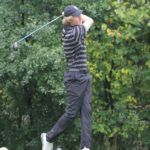 The Gustavus men’s golf team concluded its fall season Monday at the MIAC Championships, played at Ridges at Sand Creek, and finished in fourth place with a score of 301-307-295-903 (+39). Alec Aunan (Sr., Rock Island, Ill.) earned co-medalist honors after carding a 72-74-73-219, garnering the program’s 25th MIAC individual championship. 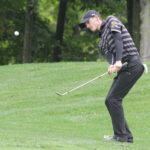 The Gustavus men's golf team moved up to fourth place after day two of the MIAC Championships Sunday, hosted at Ridges at Sand Greek. The Gusties turned in a score of 308 (+19), and is 19 strokes behind the leader, the University of St. Thomas. Augsburg University and Saint John's University remain ahead of Gustavus in second and third. 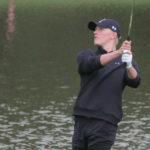 The Gustavus men’s golf team sits in fifth place after day one Saturday at the MIAC Championships, hosted at Ridges at Sand Creek. The Gusties fired a 301 (+13), which is 18 strokes off the leader St. Thomas. Augsburg is in second at +4, while Saint John’s is in third at +8.